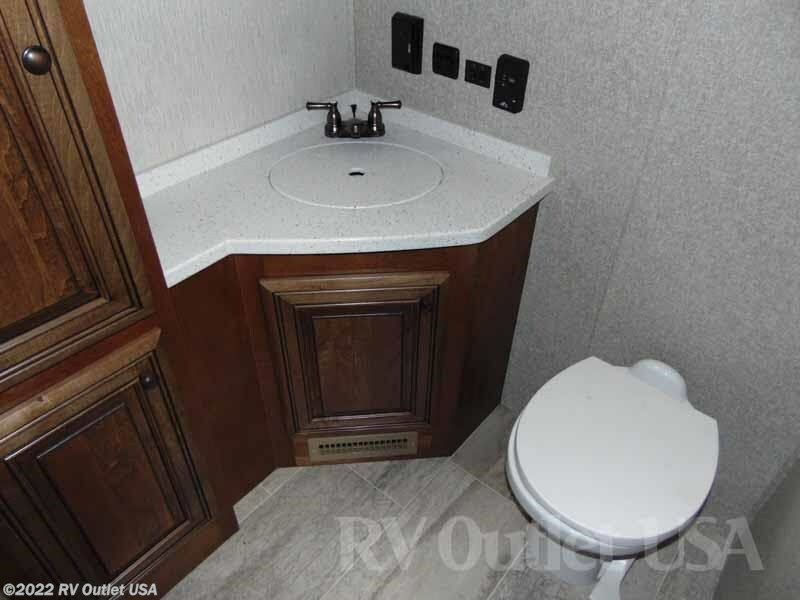 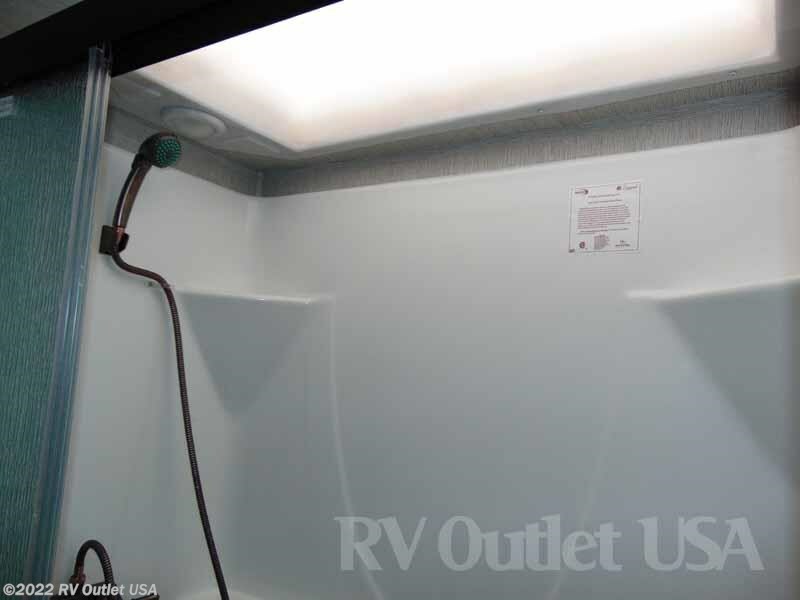 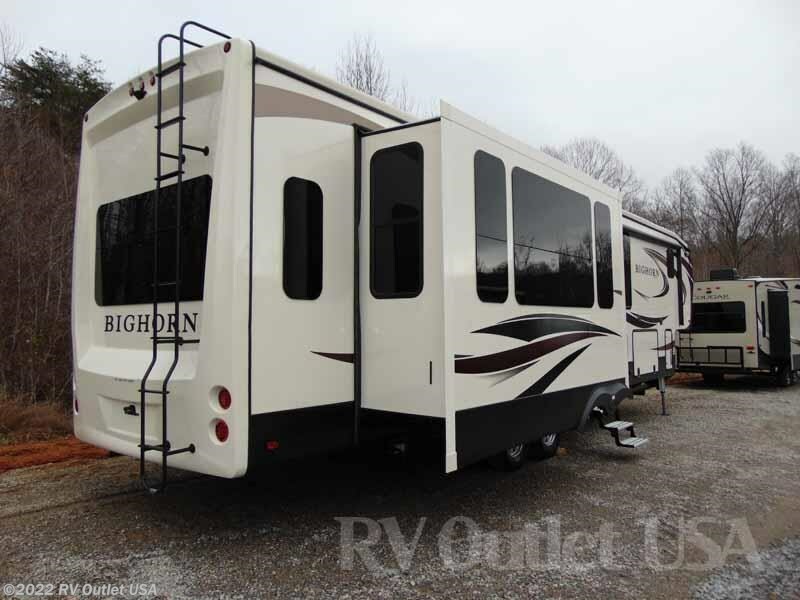 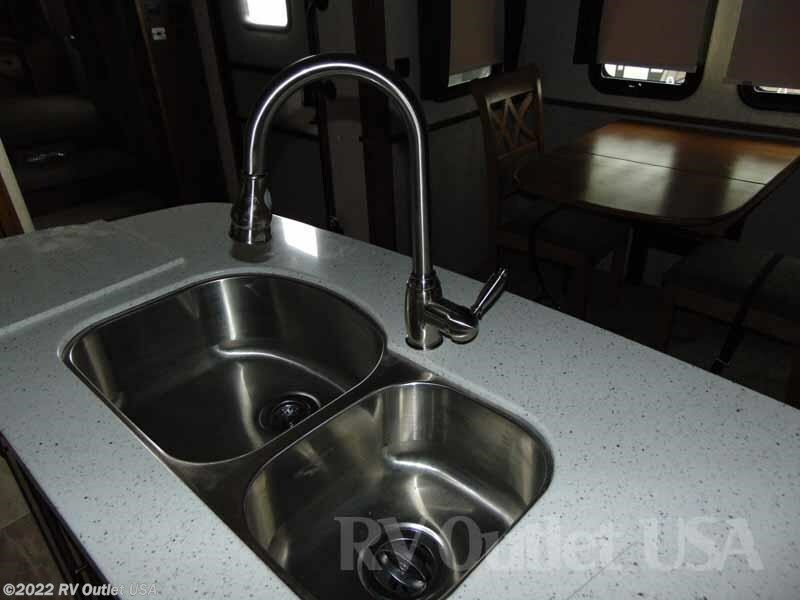 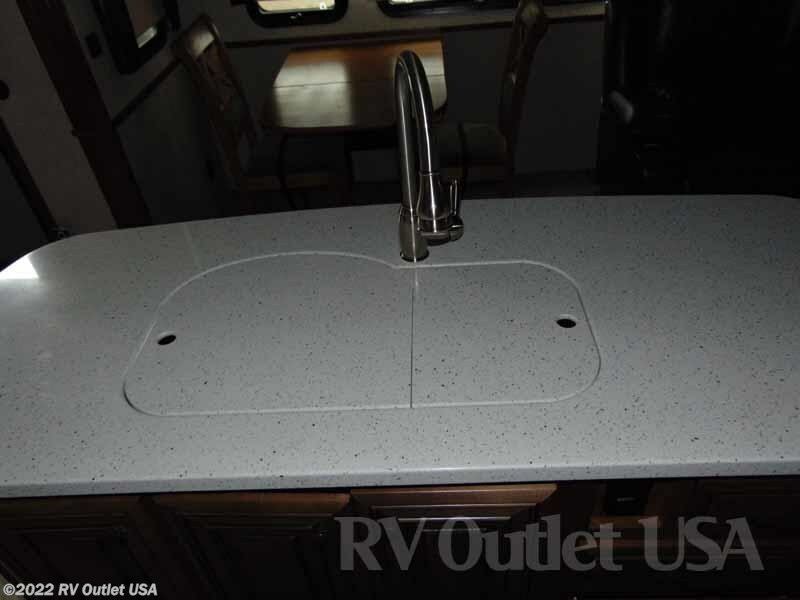 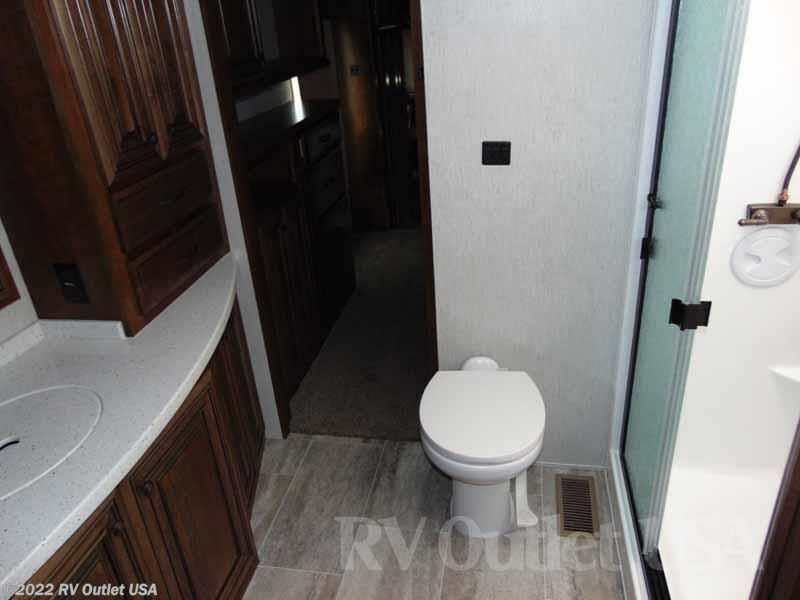 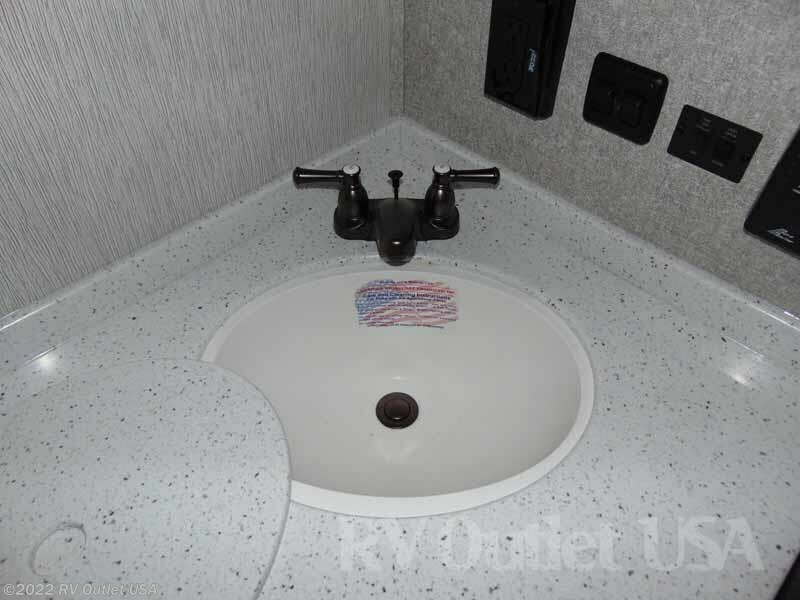 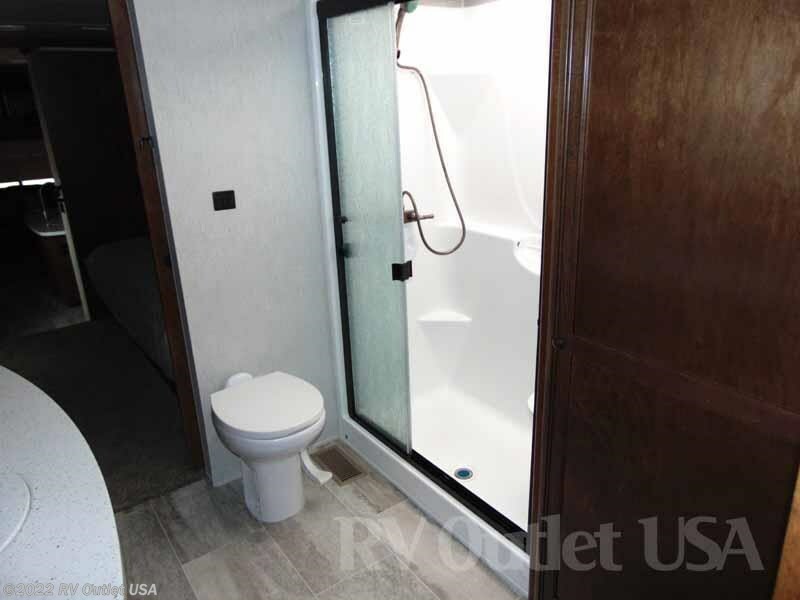 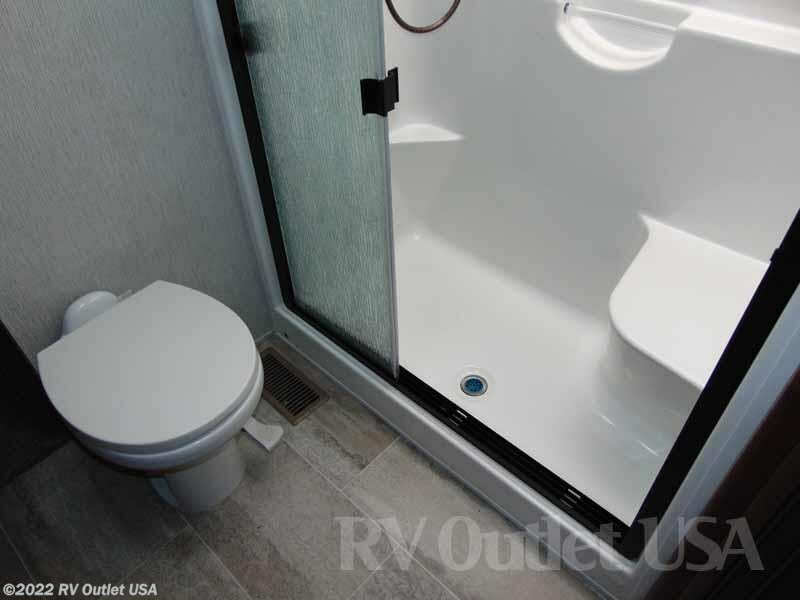 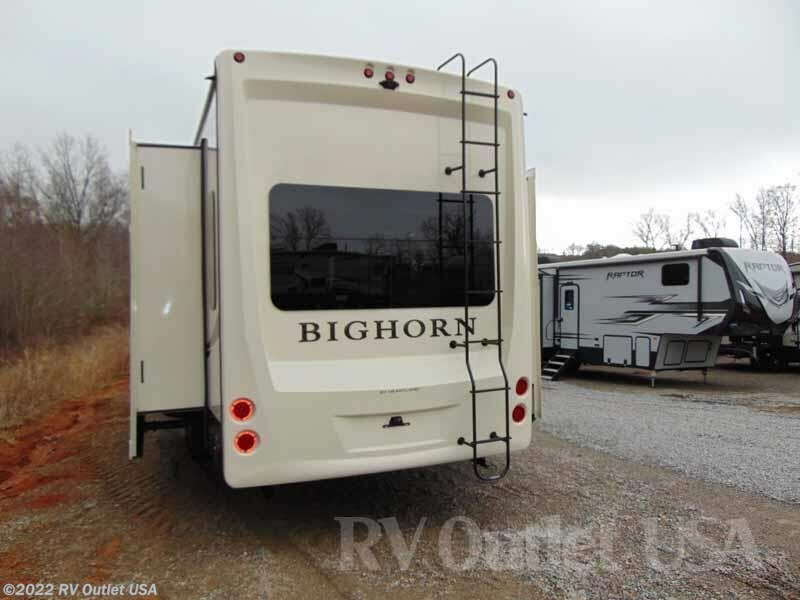 2018 HEARTLAND BIGHORN 3870FB FRONT BATH 5TH WHEEL! 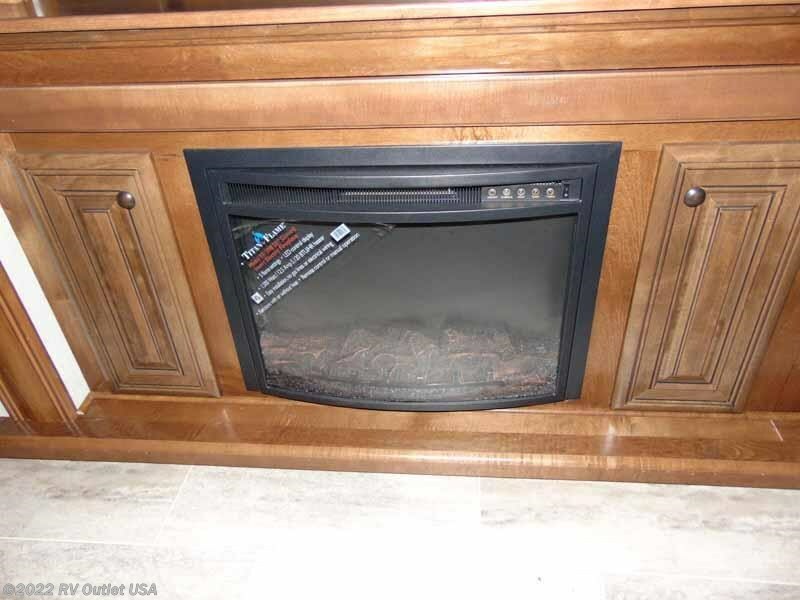 RESIDENTIAL REFER ** ROLLER SHADES ** FIREPLACE! 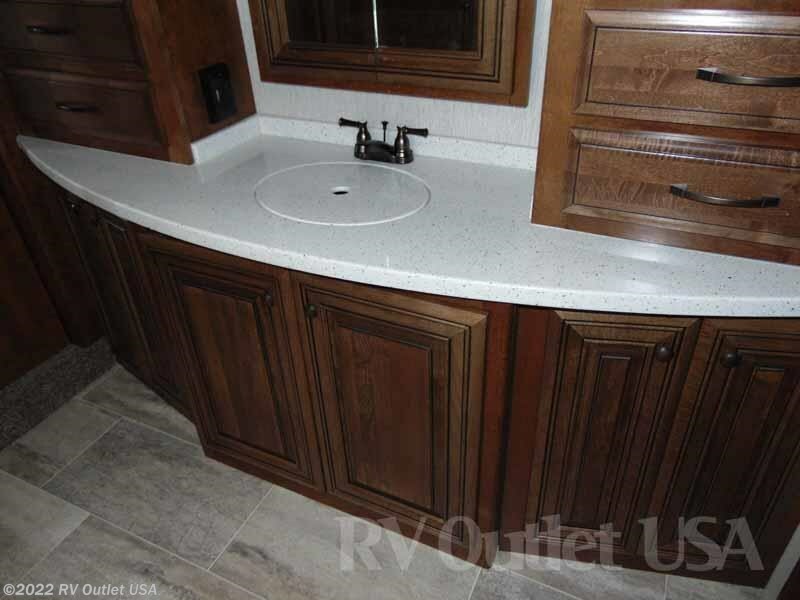 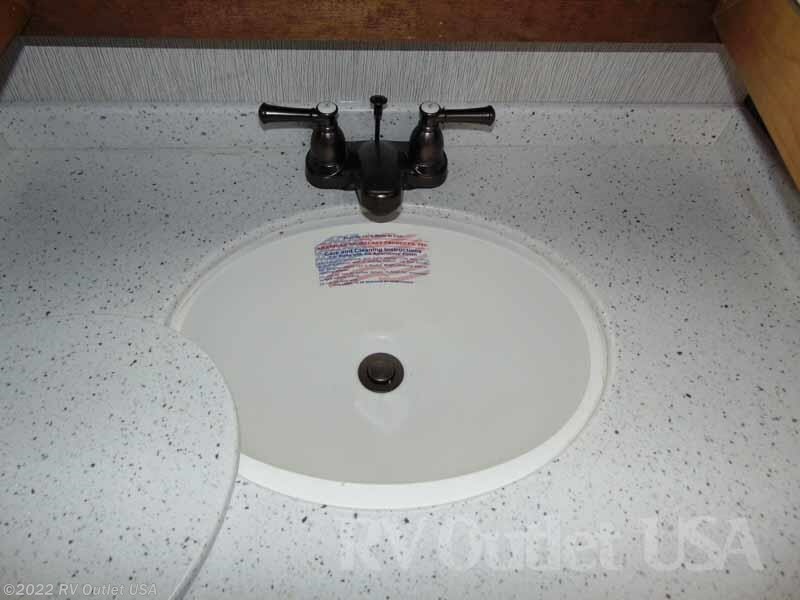 ONE OF THE NICEST FRONT BATH 5TH WHEELS ON THE MARKET TODAY! 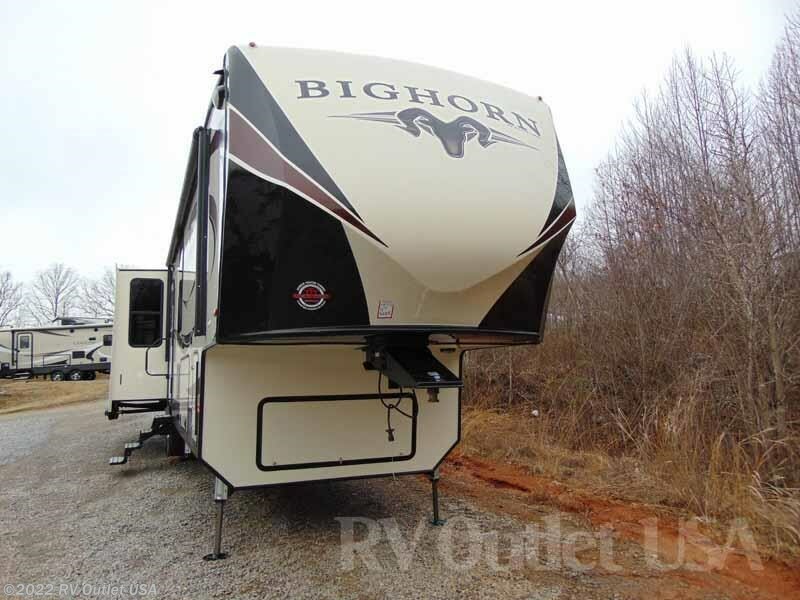 Introducing the brand new 2018 Heartland Bighorn 3870FB! 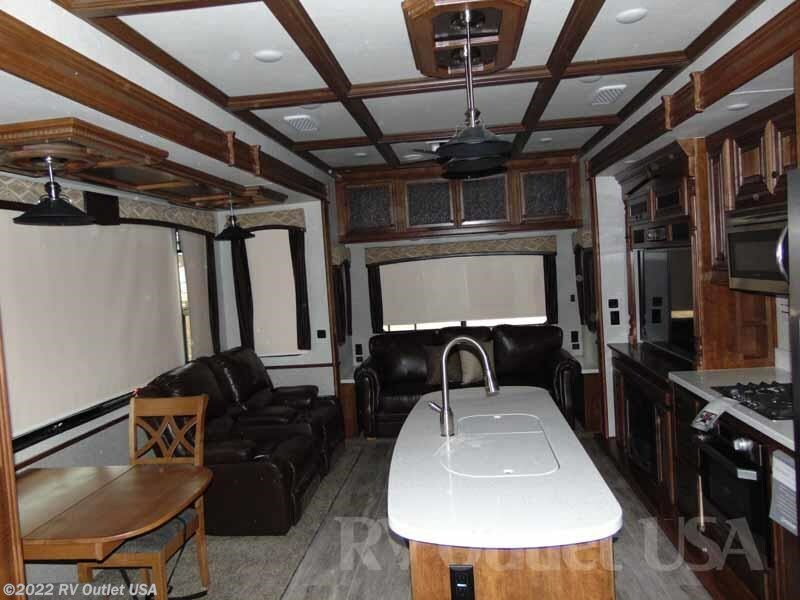 "Top Stitch" interiors, beautiful coffered interior ceiling, Ivory exterior high gloss sidewalls, residential refer, (6) point hydraulic leveling system and the list goes on and on!! 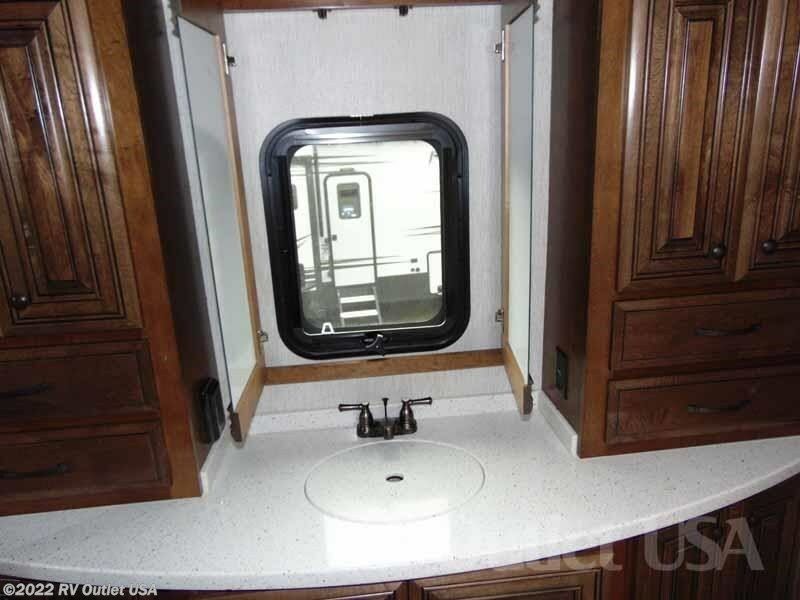 This honestly, is one of the nicest front bathroom 5th wheels made today and we've walked through ALL the top brands! 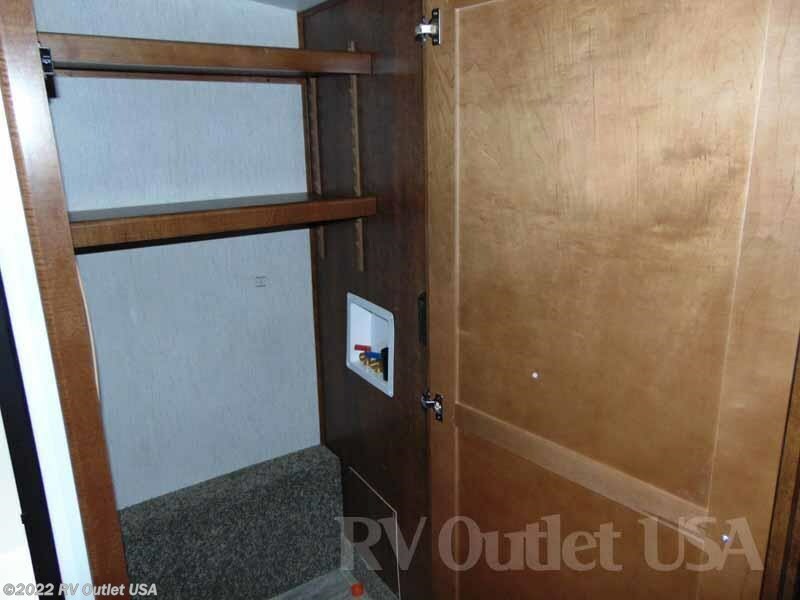 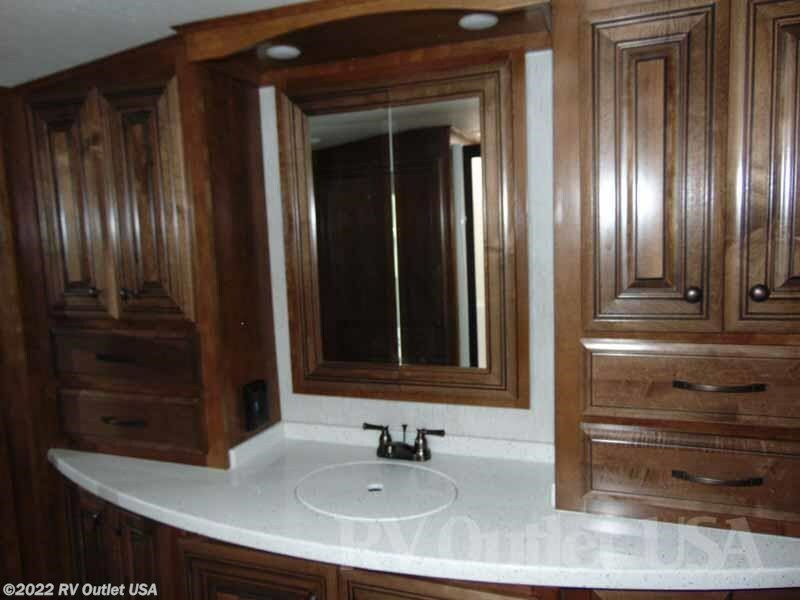 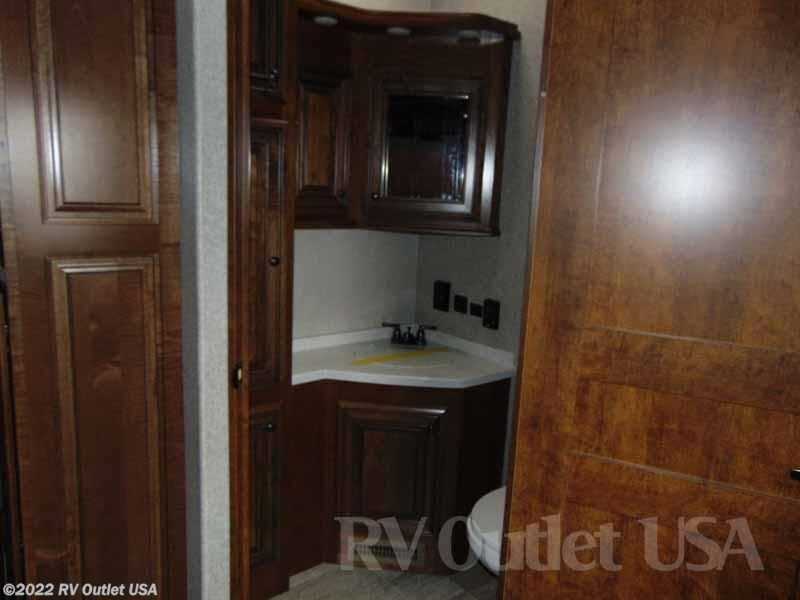 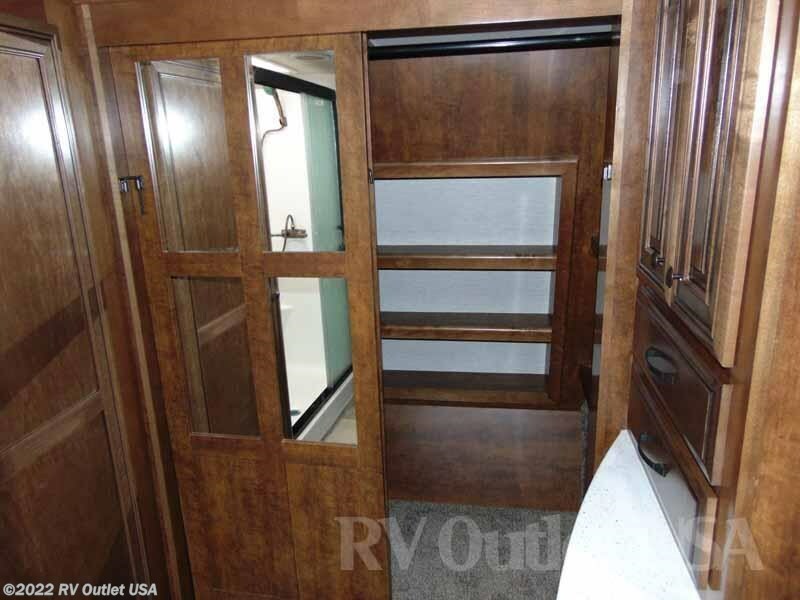 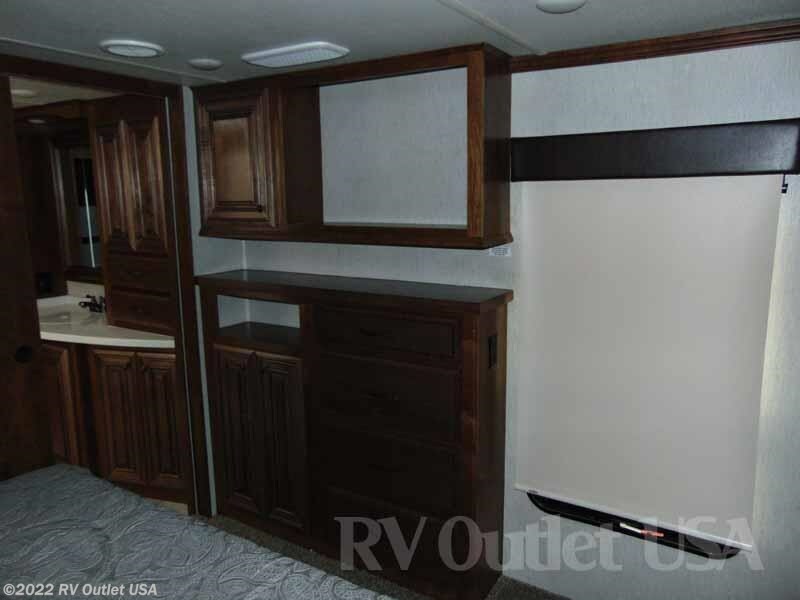 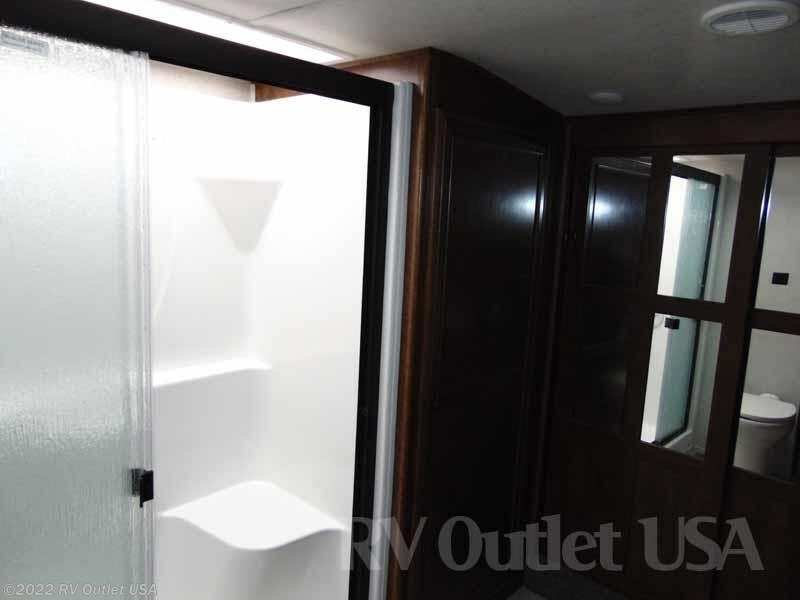 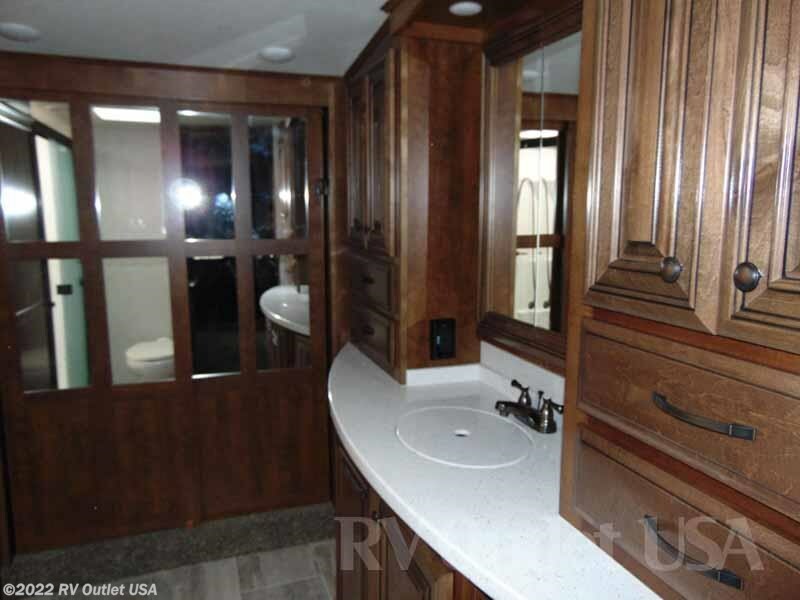 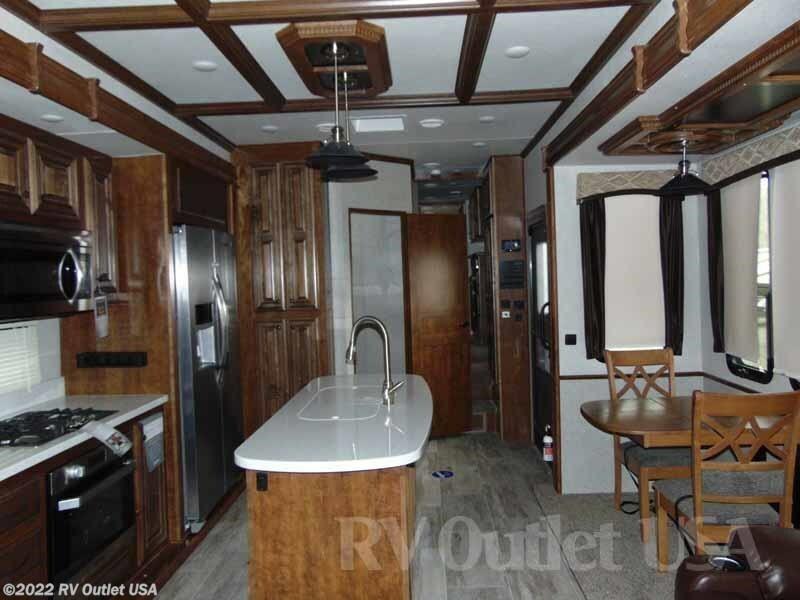 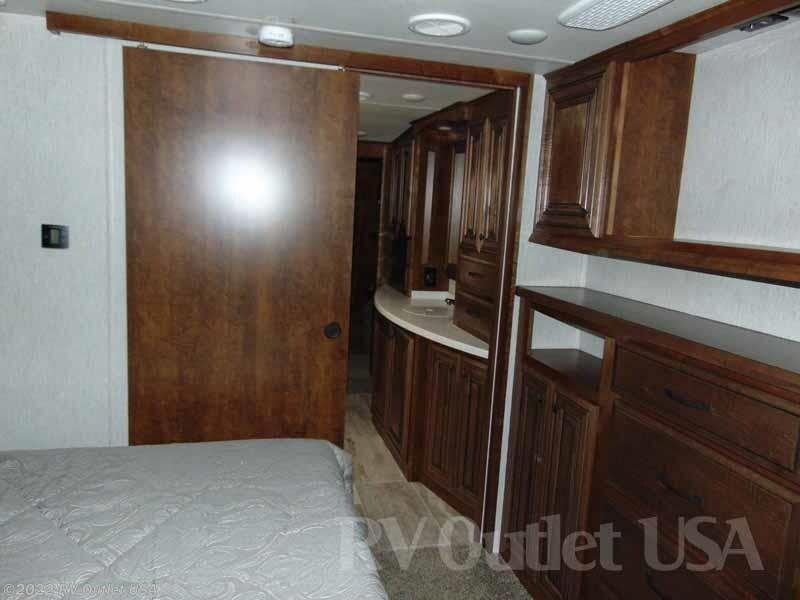 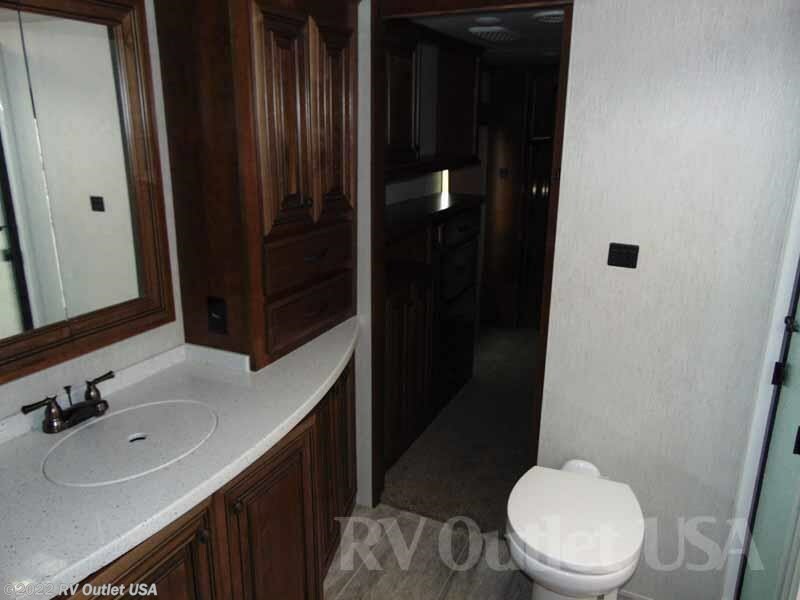 Starting from the front of the coach, it has a full walk in front closet, a one piece fiberglass mega shower, it has been prepped for a stackable washer and dryer, it has a porcelain foot flush toilet and a huge vanity with solid surface counter tops, under sink storage and a medicine cabinet. 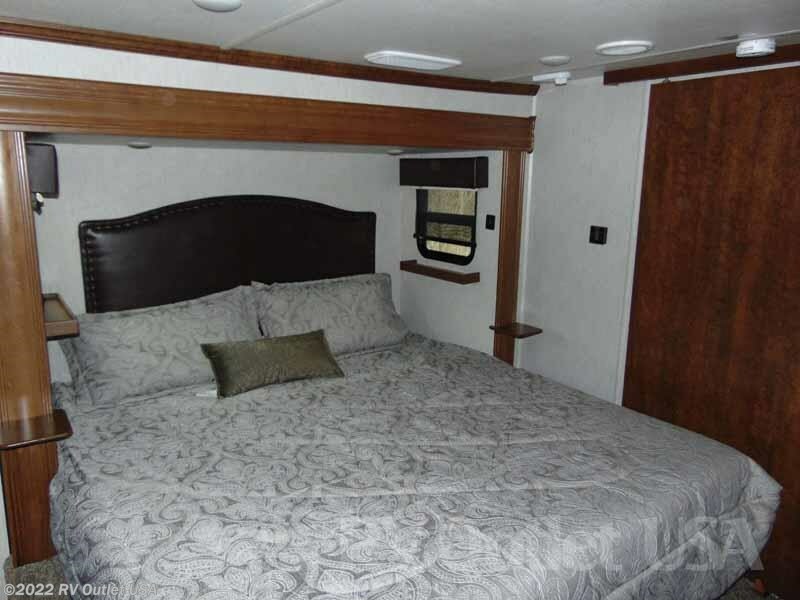 As you walk towards the living area, you'll walk through the master bedroom which has a king size bed, a large dresser at the foot of the bed for extra clothes storage and it has a 32" master bedroom TV. 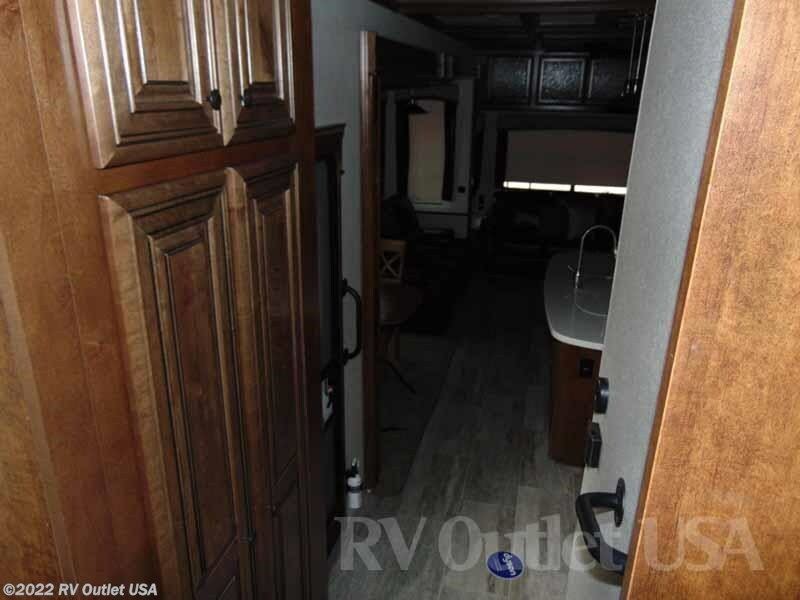 The entire upper deck of this coach is master bedroom and bathroom! 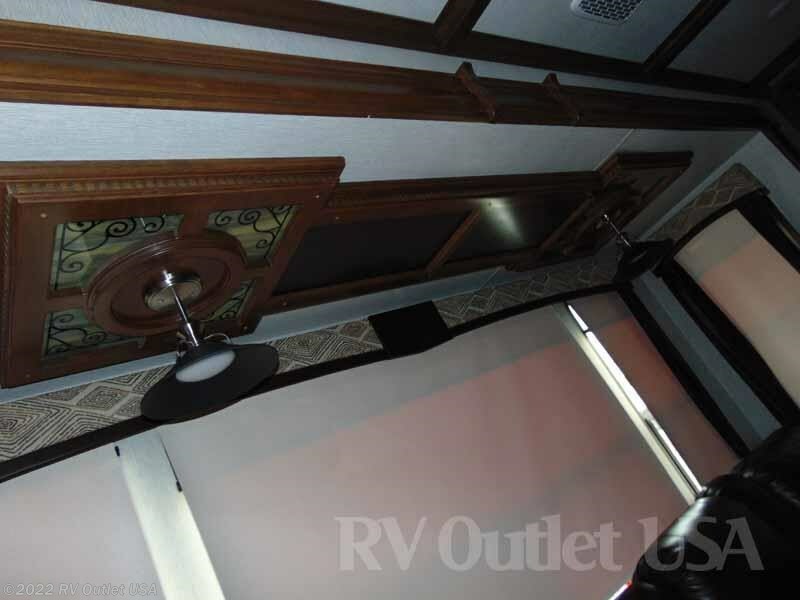 As you walk down the stairs to the living area, your eyes will definitely be focused on the beautiful Coffered ceiling! 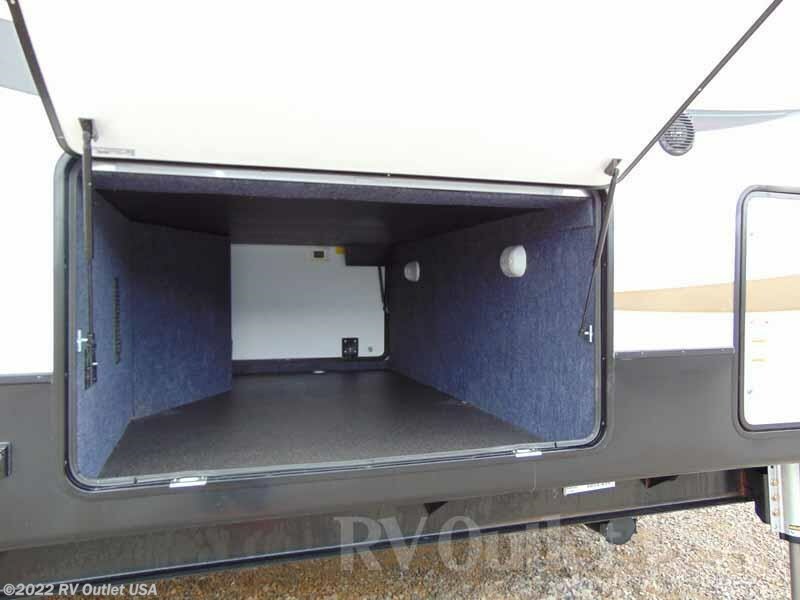 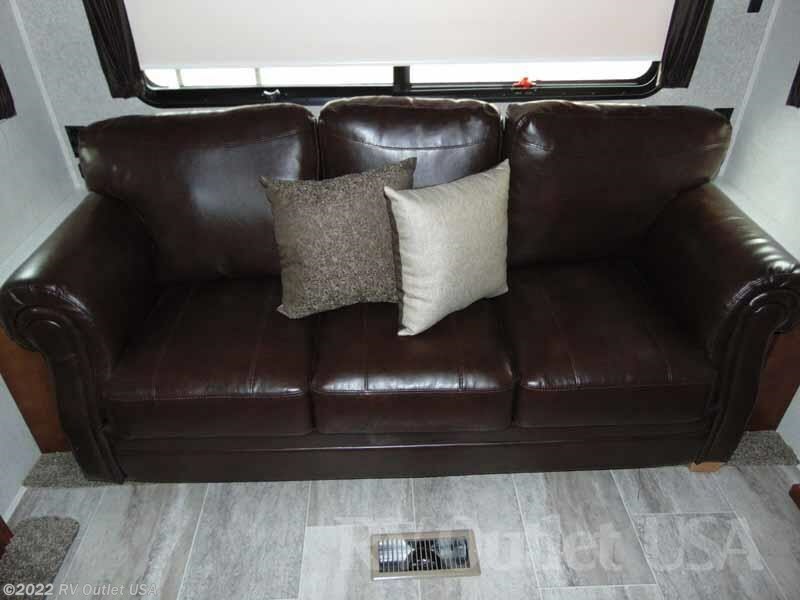 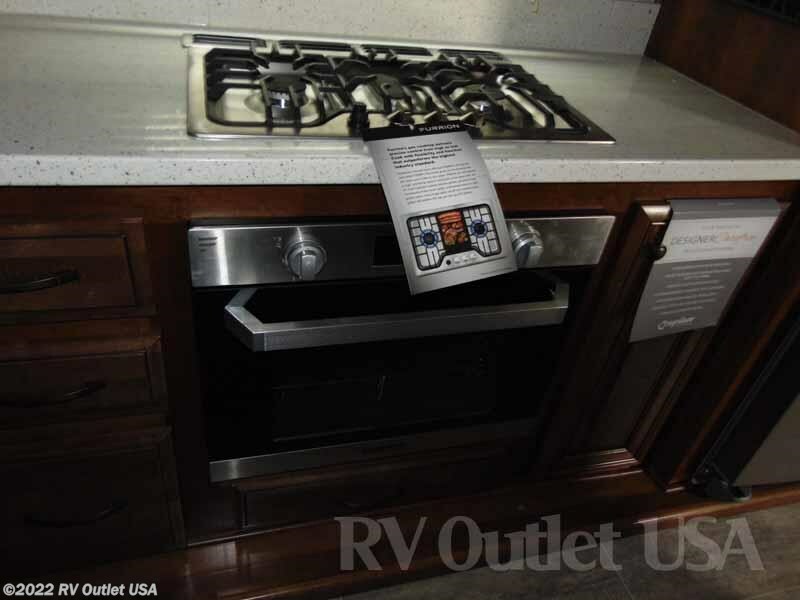 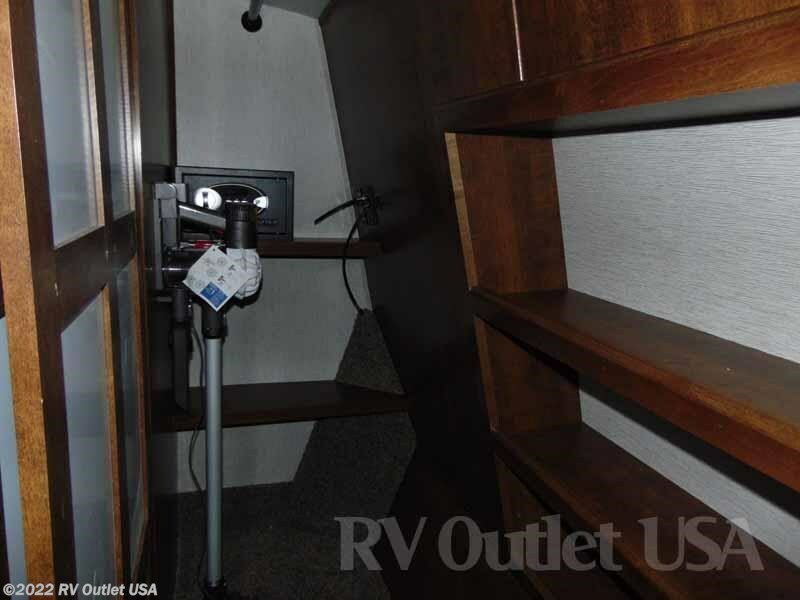 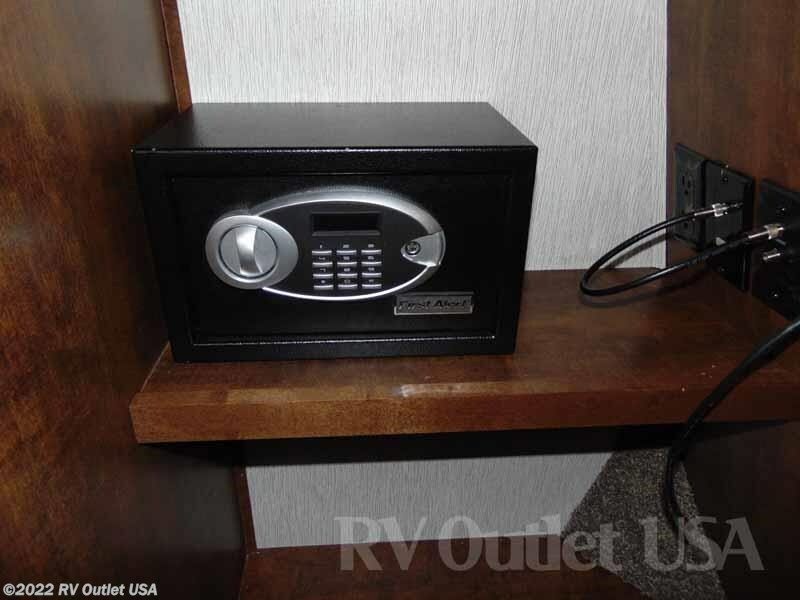 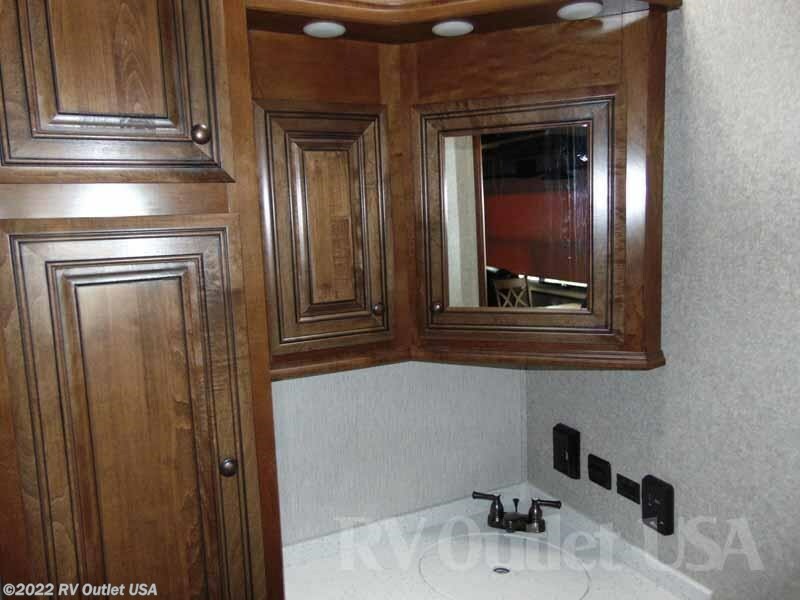 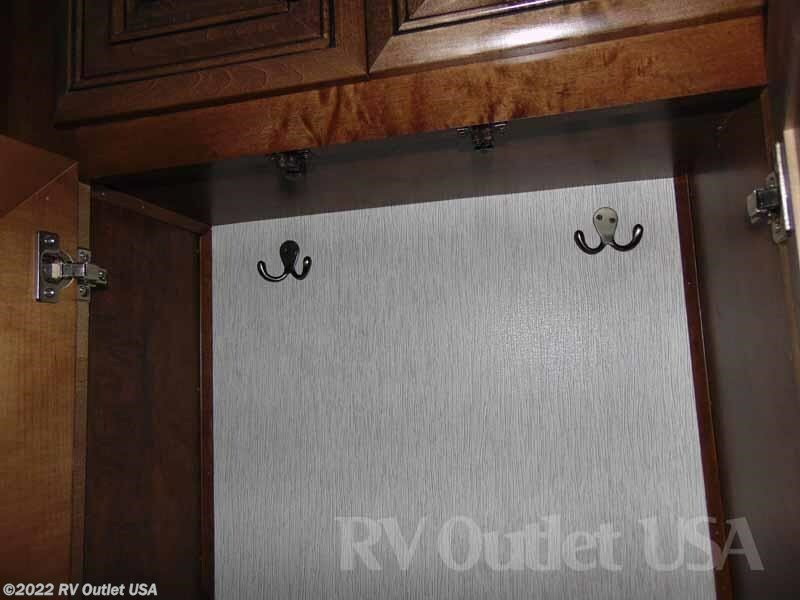 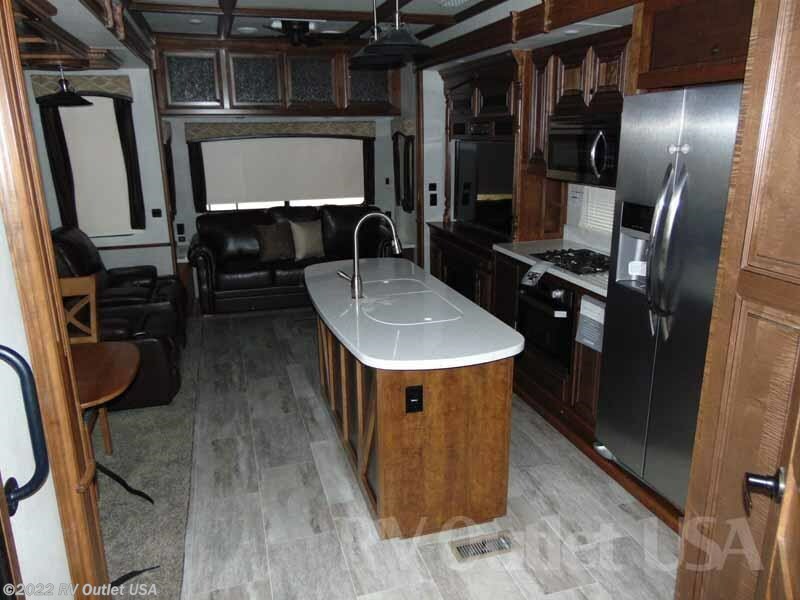 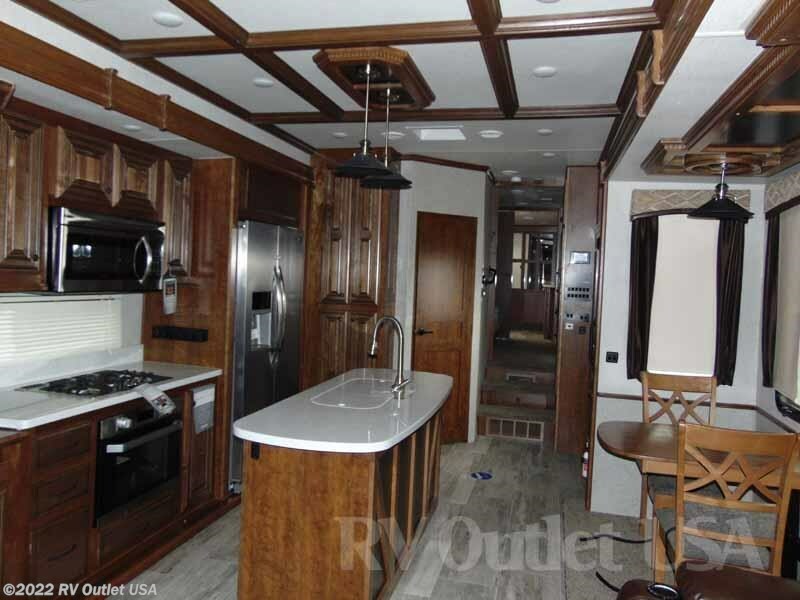 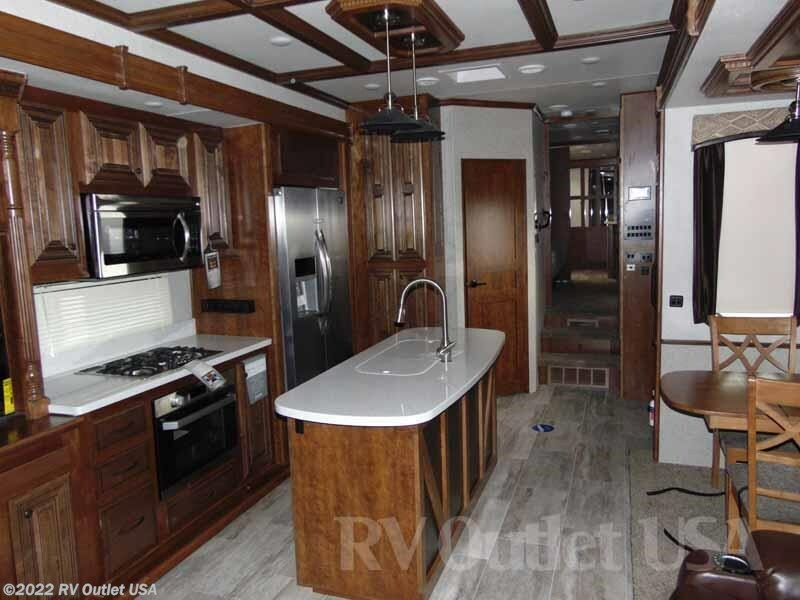 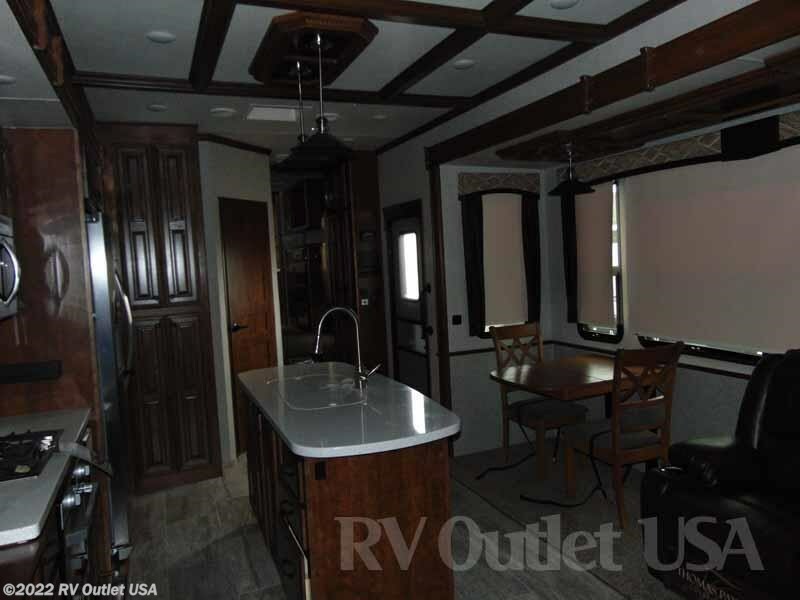 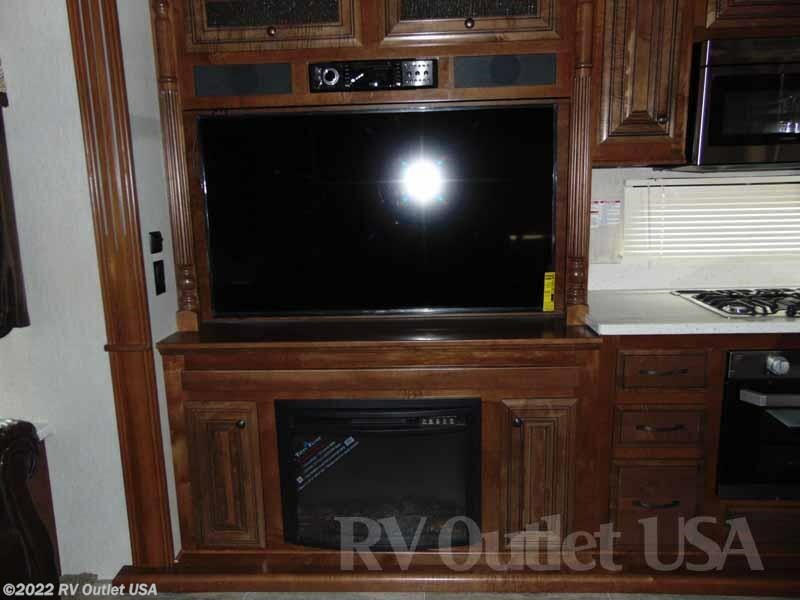 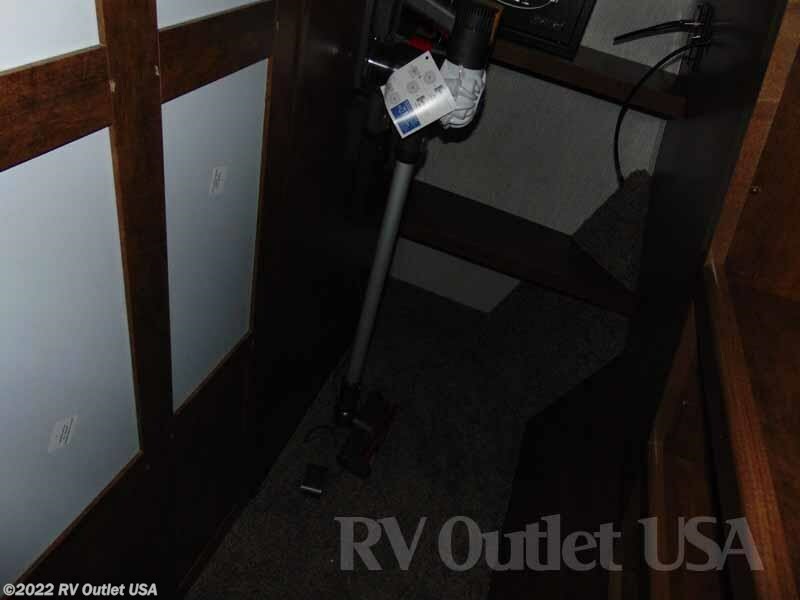 That's a really nice feature that you don't see very often on 5th wheels, plus it has the new Glazed Chestnut hardwood cabinets and styles and REAL wood fascias! 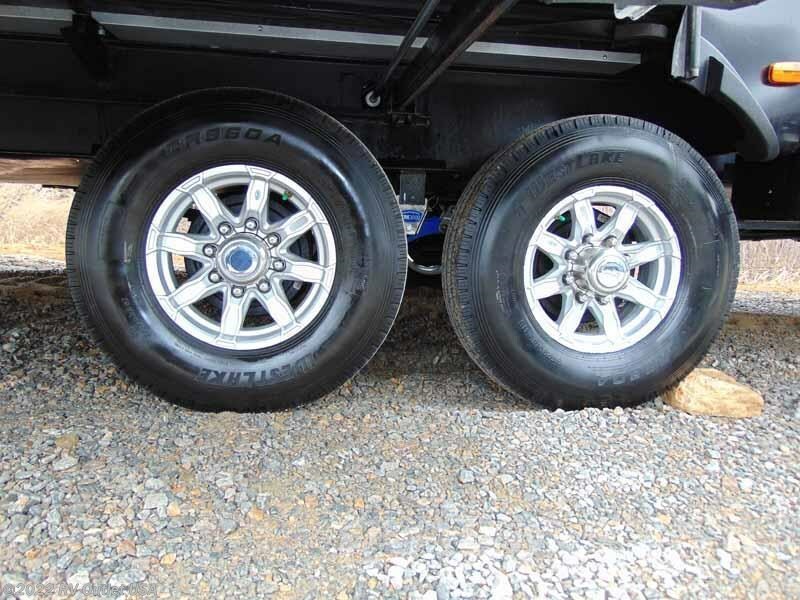 That's another standard feature that Bighorn does that you don't see in hardly any 5th wheels made today! 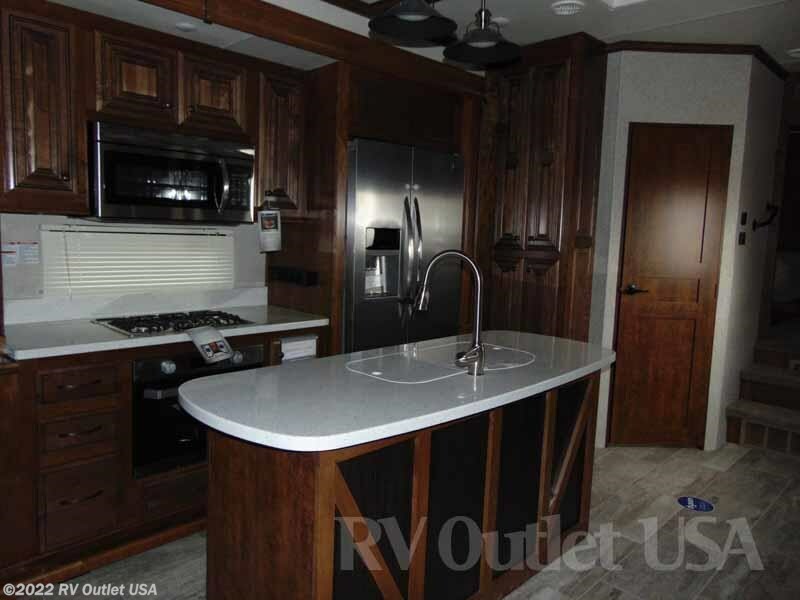 It has a 1/2 bathroom in the living area for your guests, and a kitchen Island with a very nice hanging light fixture and tons of counter top and cabinet space. 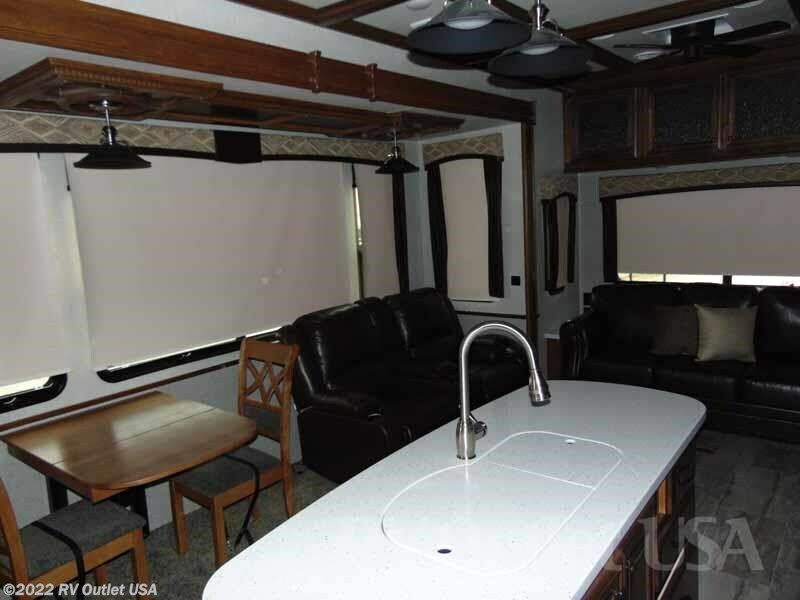 What makes the living area so large is the (2) opposing slides. 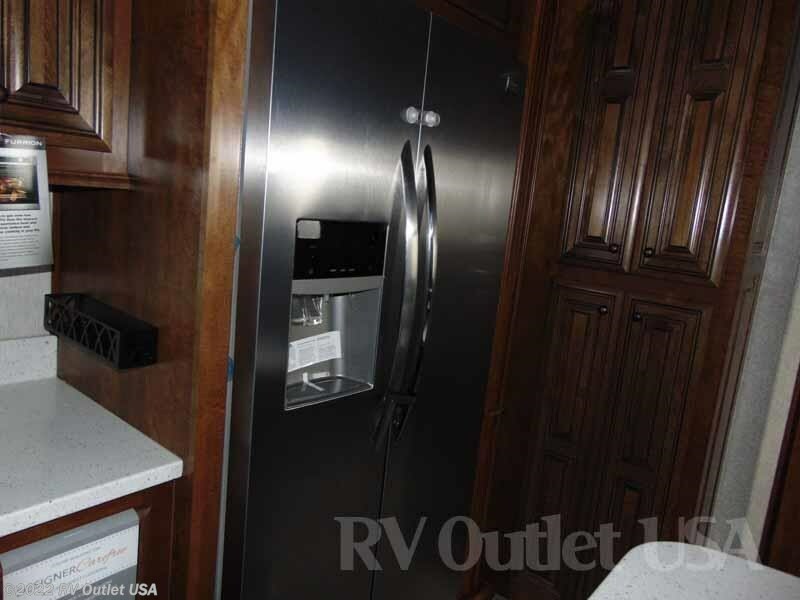 The slide on the off door side has a complete kitchen with the new Furrion high output (3) burner stove top with automatic oven, a 30" residential style Furrion convection microwave oven, a huge 22.6 cu ft residential refer, a kitchen Island with a double stainless sink with endless cabinet and counter top space AND all the appliances are stainless steel! 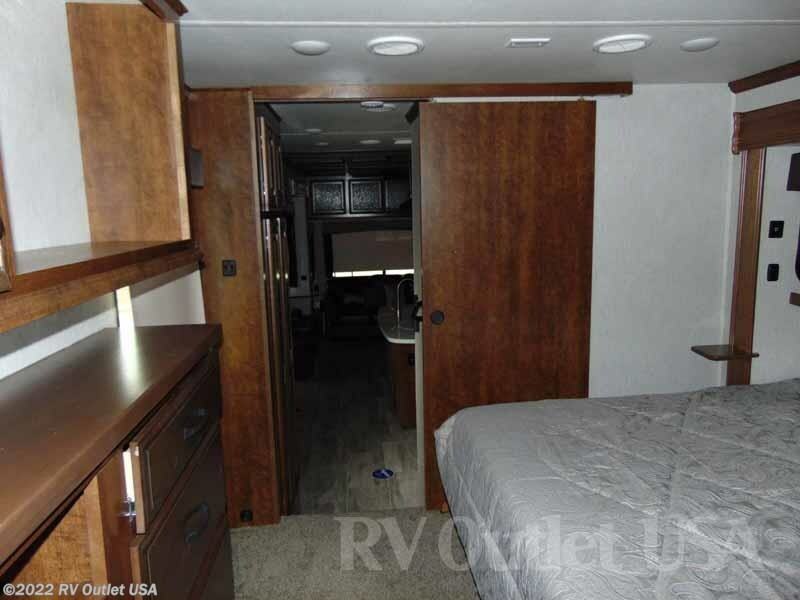 At the end of that slide is the entertainment center with a huge 55" LED TV with an FM/CD/DVD player and an electric fireplace below! 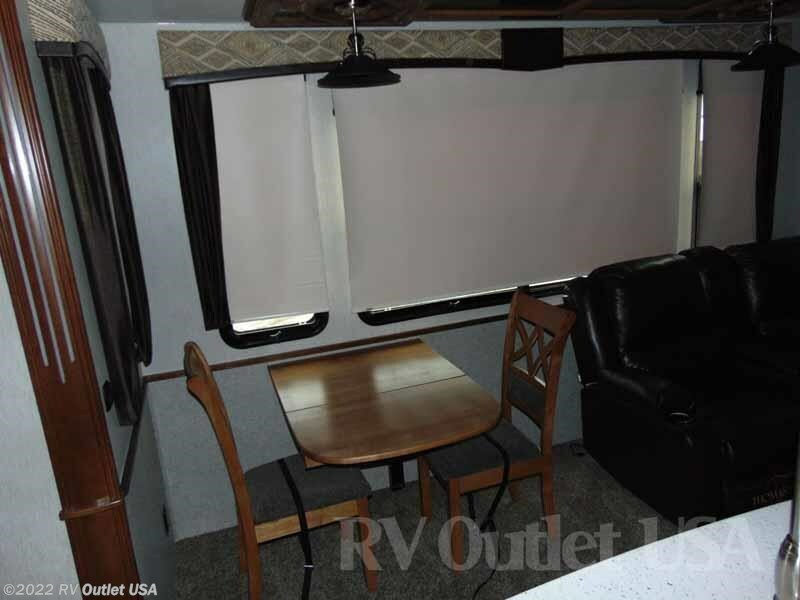 Across from that is a super slide that has the free standing dinette and (2) high back chairs and the super nice power and massaging Theater seats. 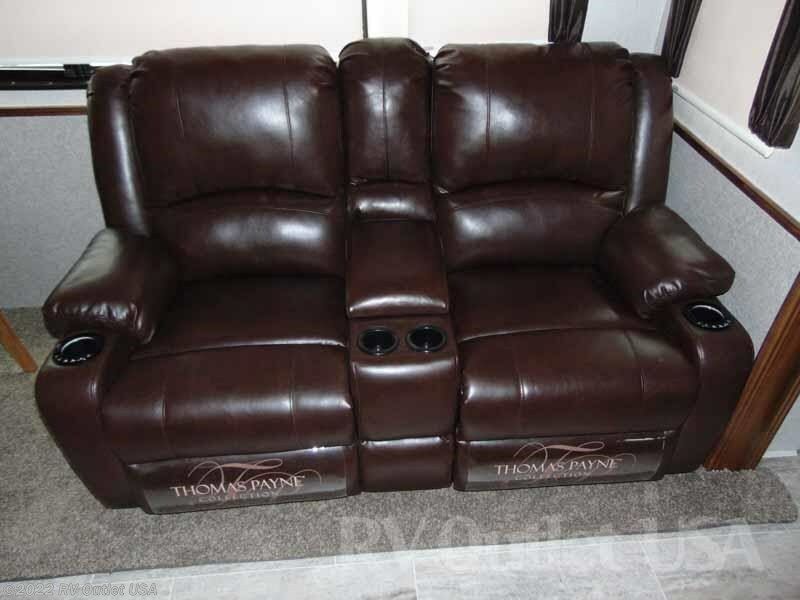 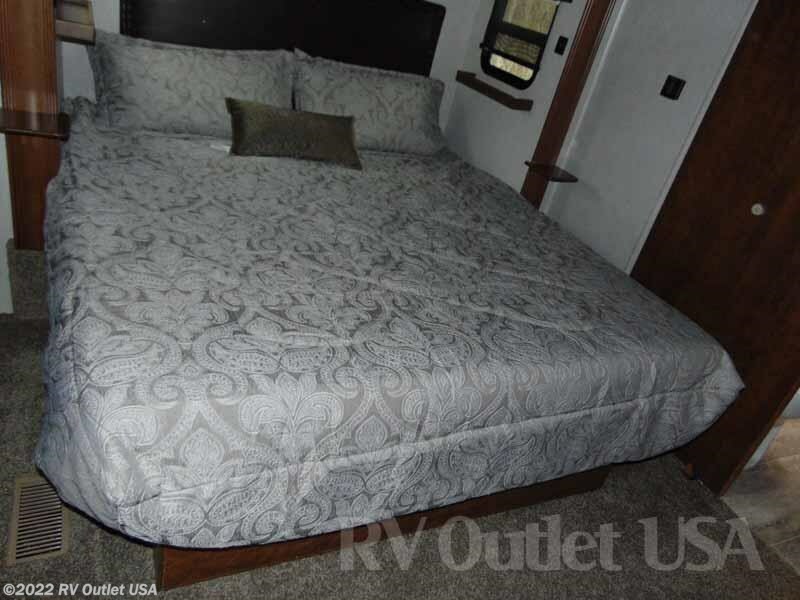 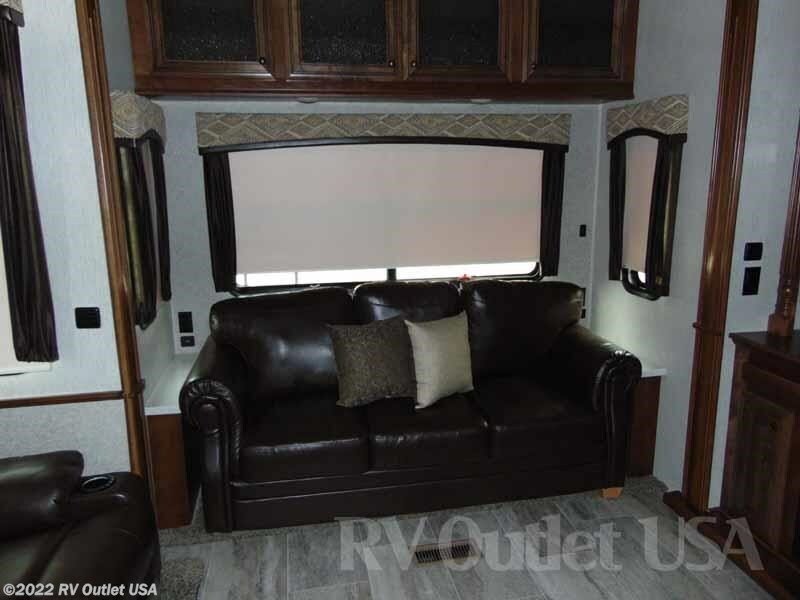 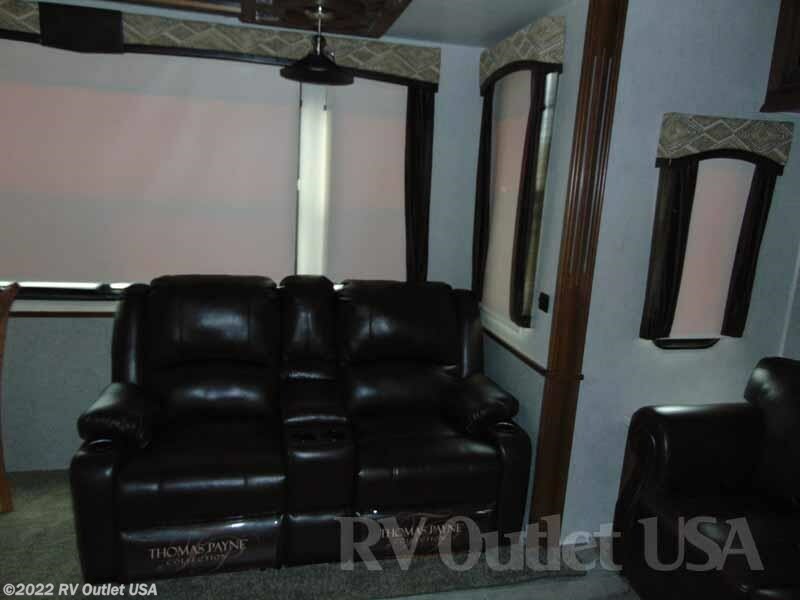 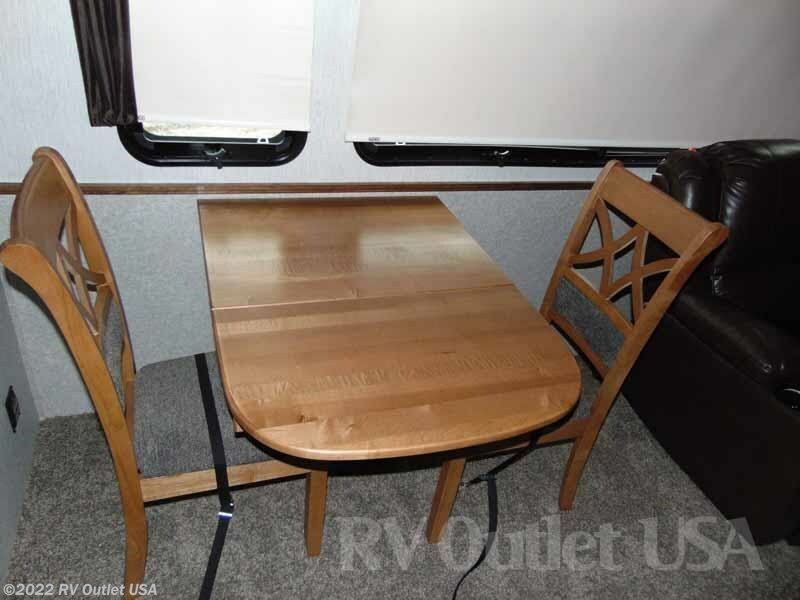 In the rear of the 5th wheel is the over sized hide-a-bed sleeper sofa. 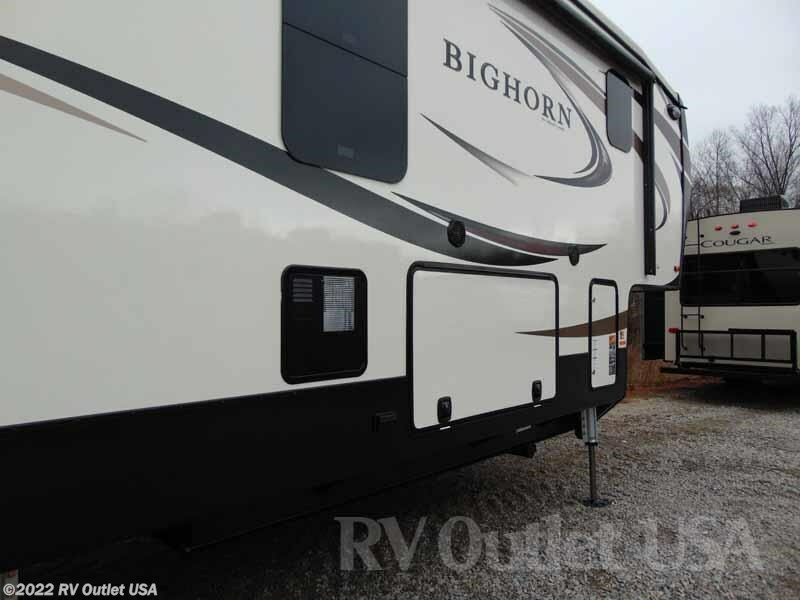 Again, you really need to walk through this Bighorn to see and feel the quality! 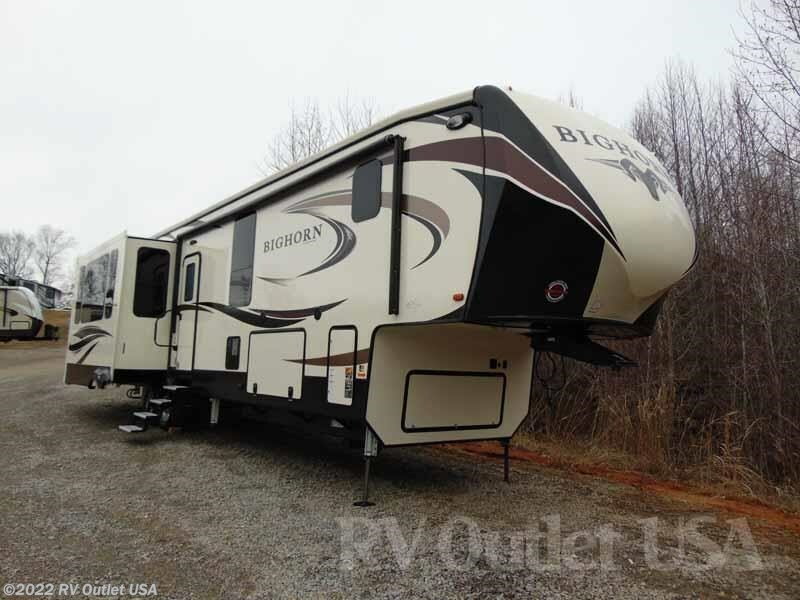 This is a super nice, very high quality 5th wheel! 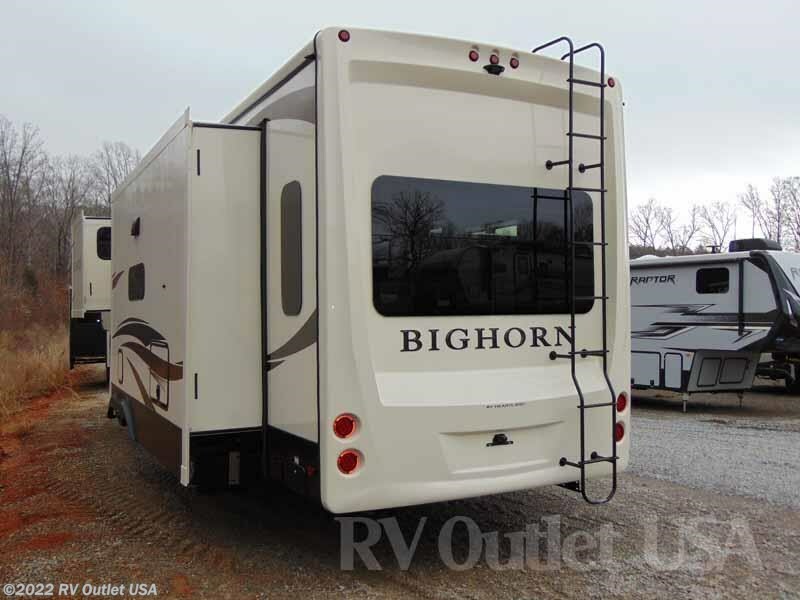 Here's a list of options that were ordered on this 2018 Bighorn 3870FB. 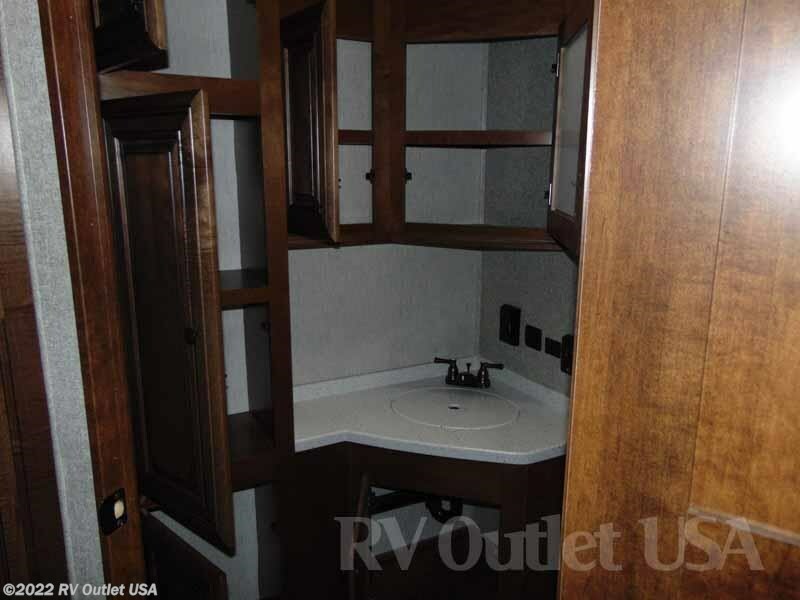 The interior color is Carrabba. 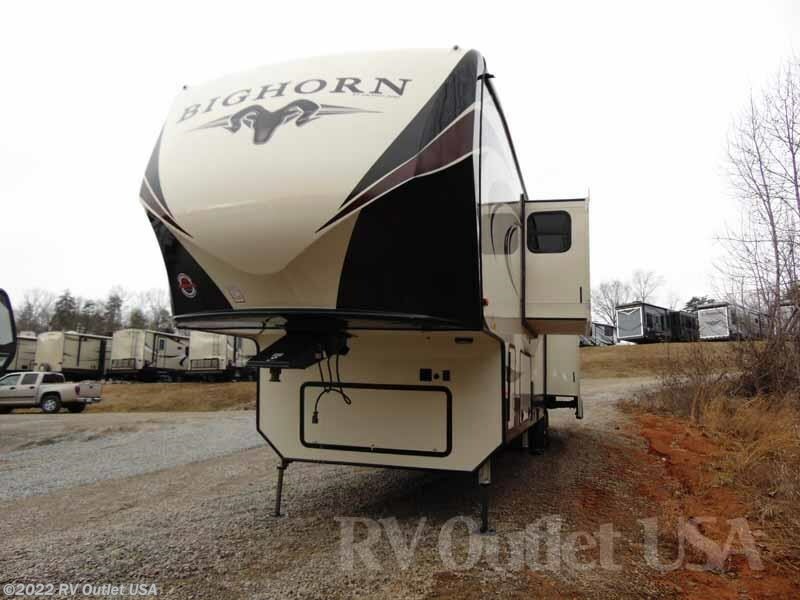 It has the Bighorn "King of the Mountain" package, plus the new Bighorn Premier package which both package have a TON of very nice features such as the Ivory high gloss exterior, frameless exterior windows, (6) point auto leveling system, painted front and rear fiberglass caps, Mor Ryde suspension, stainless steel appliances, solid hardwood slide room fascias, upgraded wardrobe doors, (2) additional folding dinette chairs, dual 30.000 BTU A/C's and the list goes on and on!! 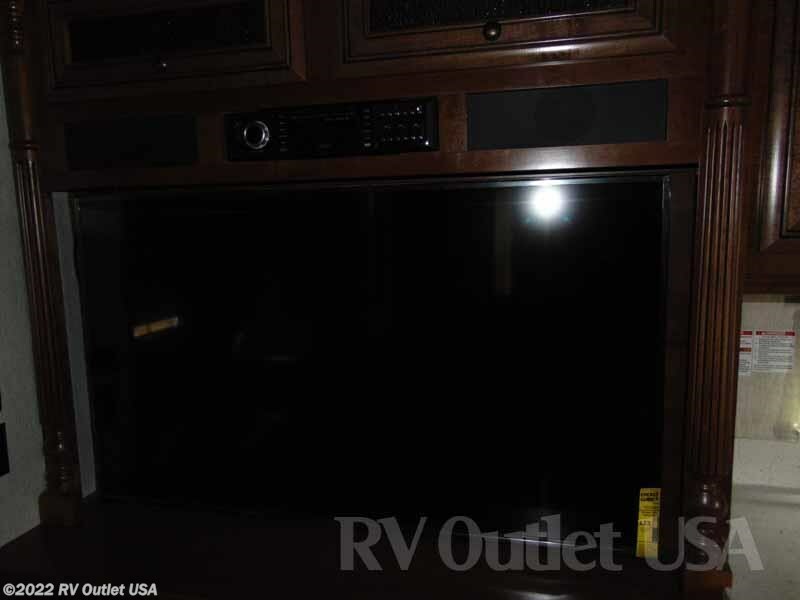 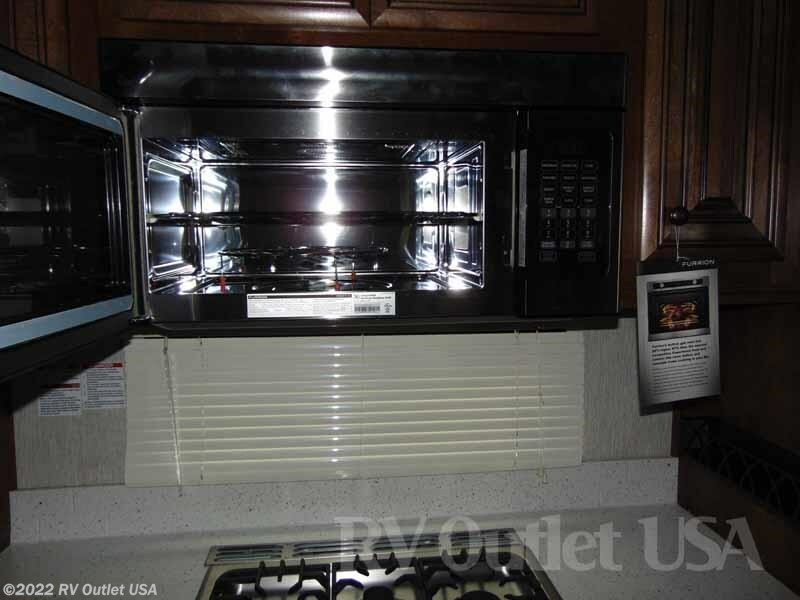 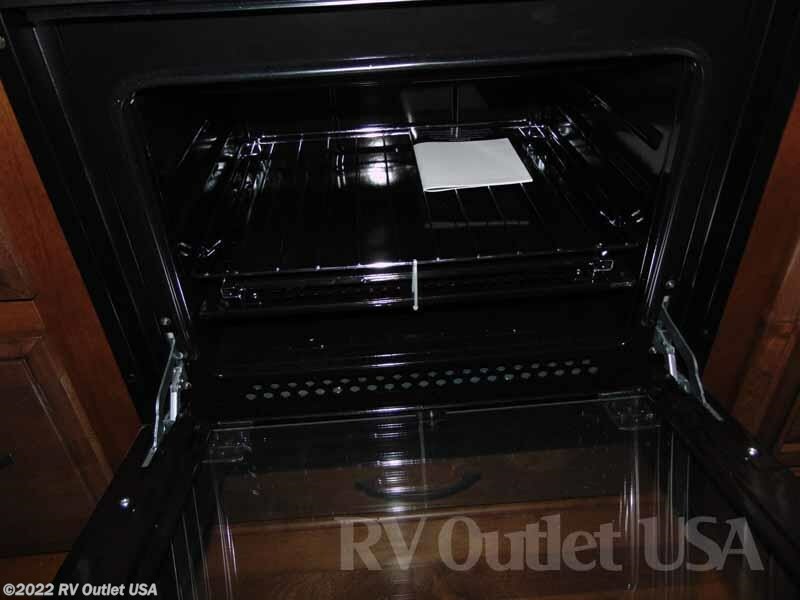 Additional options are, the power cord reel, 22.6 cu ft residential refer, 32" bedroom TV, a convection microwave oven, the upgraded Furrion appliances, power Theater seats with heat and massage, a USB charging station, the deluxe Coffered ceiling, MCD roller shades, and the electric fireplace!